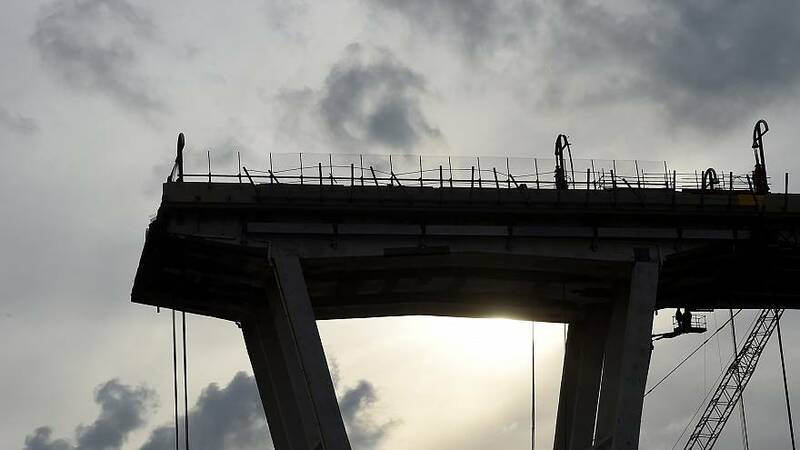 Work to demolish Genoa's Morandi bridge which partially collapsed last summer killing 43 people, started on Friday ahead of its reconstruction. Authorities expect it will take between 12 and 15 months to carry out the demolition and reconstruction. A video released on social media by Genoa Mayor Marco Bucci shows that the work will first focus on cutting out portions of the bridge and lowering them to the ground. Forty-three people lost their lives after a 200-metre-long portion of the viaduct — part of a motorway linking the busy Italian port city with southern France — collapsed on August 14. The disaster was described as one of the worst tragedies in modern Italian history. The Italian government has blamed the country's road operator Autostrade for the bridge's poor maintenance, an accusation the company has denied. Around 600 local residents have been forced to leave their homes since the disaster, Anna Rita Certo is one of them. She told Euronews' Good Morning Europe programme that they were granted just "a few hours" to take their belongings. Certo, who saw the viaduct being built as child, said that maintenance work had been carried out on the bridge in the two years preceding the collapse. "All night we had noise," she explained, adding; "We were looking for the local authorities to give answers and to press Autostrade." The reconstruction has been awarded to Italy's biggest builder Salini Impregilo, shipbuilder Fincantieri and transport company Italferr. The €200 million project will be overseen by renowned Genoan architect Renzo Piano. Piano, whose works include the London Shard, the Pompidou Centre in Paris and the Whitney Museum in New York, produced the design for free. He said last month that the bridge "will look like a ship moored in the valley; a light and bright steel bridge." It will include 43 lamps to honour the lives of the victims.